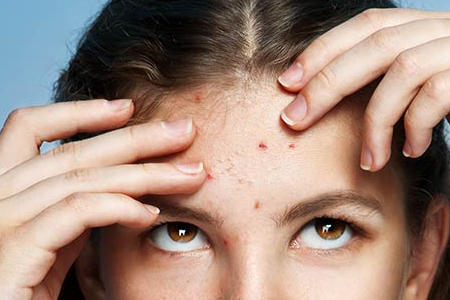 Unlike most of our pubertal growing pains, the angst of an acne breakout never really left us. We get them at the worst possible times, like during our periods and when we’re really stressed out. While fluctuating hormonal levels can certainly cause havoc to our complexion, they apparently aren’t the only culprit. Face mapping, a combination of alternative ancient Chinese and Ayurveda medicinal practices believes that the location where acne appear on your face corresponds to health issues pertaining to certain underlying organ system. 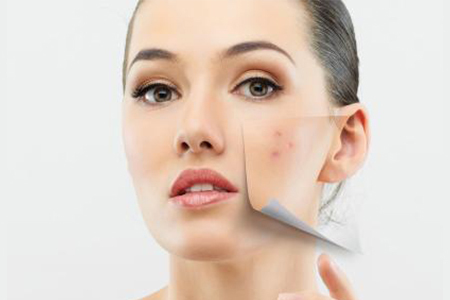 Spots in different zones point to different problems and with this knowledge as a guide, you can address the underlying causes of blemishes and not only make the unsightly zits vanish but also treat your health issues in a timely manner. However, don’t get all hypochondriac just because you’re getting a pimple on your chin time and again. Face mapping isn’t exactly ‘science’, so it’s best to approach it with a grain of salt. Nonetheless, if your acne appears repeatedly in the same place, or you have chronic acne which doesn’t respond, decoding those hidden messages from your zits might offer clues for supplementary actions that’ll help restore peace and tranquility to your disturbed skin. Zits on the forehead might point towards digestive turmoil caused by dietary indiscretions and over indulgence on junk or overly processed food. Clean up your diet and cut back on sugary snacks, deep fried faves and salty tidbits. Replaced them with healthy whole foods, fresh veggies and fruits. Supplement your best dietary efforts and give your body a daily dose of detox with SW1 Pure Cleanse, either taken on its own or mixed with Detox Tea. Containing Dandelion root and Chicory root, these are powerful natural antioxidants that are resistant to swelling. Wormwood leaf, another active ingredient, is anti-inflammatory, aids digestion and prevents heartburn while Milk Thistle is unique in its ability to protect the liver and acts in a similar fashion to detoxify other synthetic chemicals that find their way into our bodies, from acetaminophen and alcohol to heavy metals and radiation. Recommended as part of a body detoxification program to relieve fluid retention, regulate digestion and drainage, living toxin-free has never been easier or felt better! 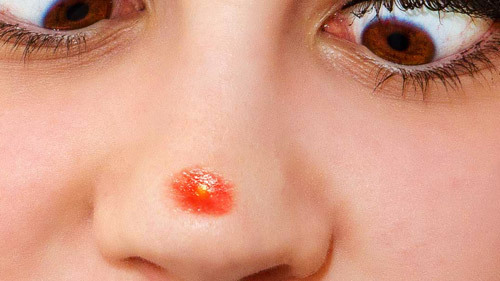 Face mapping experts link the nose to your heart and suggest a blood pressure evaluation if you’re constantly plagued with zits that make you resemble Rudolph. Decrease your intake of spicy or pungent food, cut back on red meat, and look into ways to lower cholesterol, like replacing “bad fats” with “good fats” such as Omegas 3 and 6 found in nuts, avocados, fish and flax seed. In addition, since this area is choke-full of dilated pores with a propensity to clog up and lead to breakout, looking into ways to reduce your pore size will certainly help to nip your skin woe in the bud. Do you smoke, have allergies or guilty of both? This could be the culprit behind those recurrent zits on your cheeks. Quitting the ciggies is a no brainer but if you’ve allergies, perhaps you should get proper medical help to control them. If neither of these affect you, don’t let your body overheat by consuming more cooling foods like barley water, lemongrass and green bean soup. Also avoid foods like meat, dairy, alcohol, caffeine and refined sugar which increases acid in your body. Unlike most spas where conventional microdermabrasion is performed as a mechanical form of exfoliation, the Aquadermabrasion offered by SW1 Spa @ Paragon utilizes a 2-phase stream that creates a jet composed of gas (oxygen) and micro-droplets of fluid (saline) accelerated to high velocities to tackle pores ravaged by air pollutants. This unique oxygen + saline delivery system impacts the skin and causes precise yet gentle cosmetic peeling, working exceptionally well for thorough, deep pore cleansing. Together with the oxygen, vital nutrients are delivered transdermally with the saline to leave the skin feeling refreshed and rejuvenated with an unbeatable post therapy glow, an oasis for blemished complexions affected by direct or passive cigarettes smoking and other environmental assaults.